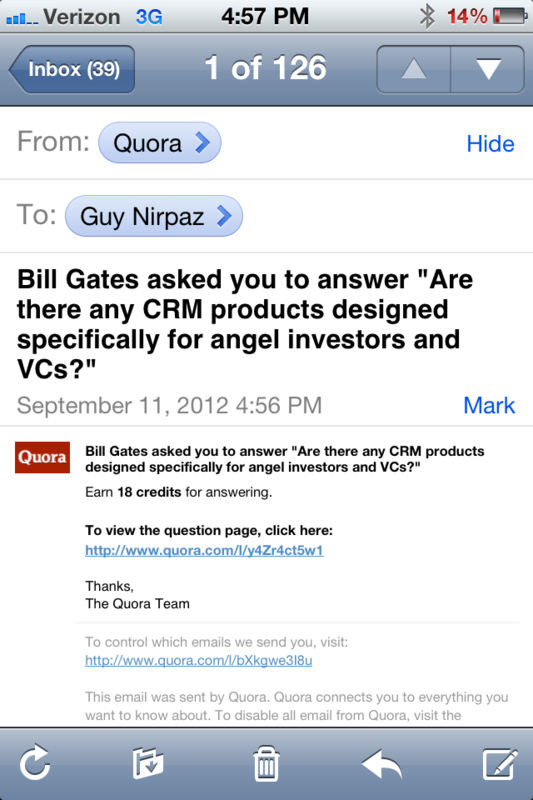 I’ve just received the following email from Quora. What do you think is this the real Bill Gates? Should I answer? Maybe we should pivot Totango into a CRM for VCs?